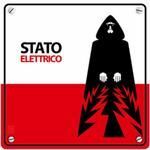 Stato Elettrico is an Italian netlabel for electronic music, based in Rome. We start our activity in January 2010 after a long militancy in the underground scene of our city. Our goal is to promote and distribute independent artists with whom to cooperate and create new partnerships.